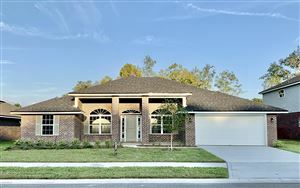 Bent Creek is a golf course community located on the westside of jacksonville. Bent creek was established around 1989. Bent Creek and Bent Creek Trails has over 600 home in the community. Bent Creek real estate amenities include 18-hole golf course, pool, and fitness center. Bent Creek golf course is a Bobby Woods design that plays around 6606 yds. from the gold tees with a 71 par. As of today there are many Bent Creek homes for sale and Bent Creek real estate for sale that are available to search. The number of Bent Creek home listings changes daily, so be sure to keep coming back right here, to the best site for Bent Creek homes for sale.